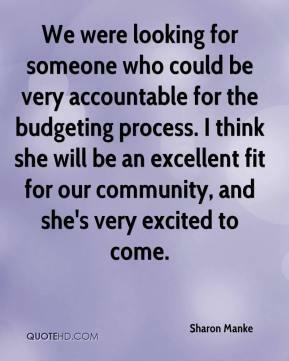 It takes someone incredibly strong to lead that effort in that organization. 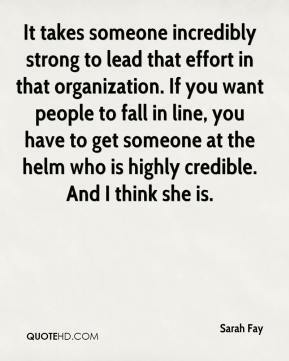 If you want people to fall in line, you have to get someone at the helm who is highly credible. And I think she is. 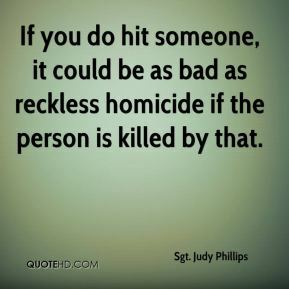 If you do hit someone, it could be as bad as reckless homicide if the person is killed by that. Don't become a statistic, don't make someone else a statistic, don't hurt or maim or kill somebody else and don't do it to yourself. 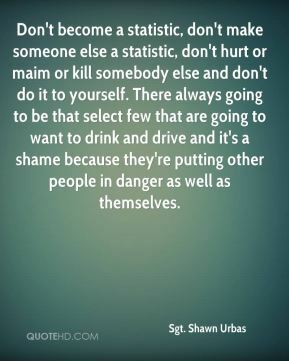 There always going to be that select few that are going to want to drink and drive and it's a shame because they're putting other people in danger as well as themselves. We were just so balanced this year. 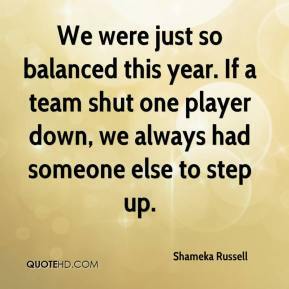 If a team shut one player down, we always had someone else to step up. I love to cook. 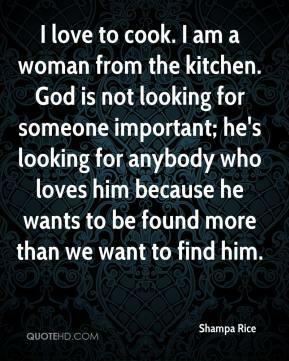 I am a woman from the kitchen. God is not looking for someone important; he's looking for anybody who loves him because he wants to be found more than we want to find him. 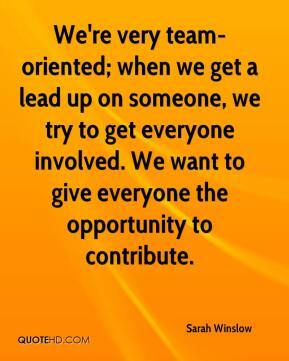 We're very team-oriented; when we get a lead up on someone, we try to get everyone involved. We want to give everyone the opportunity to contribute. I still can't believe it. 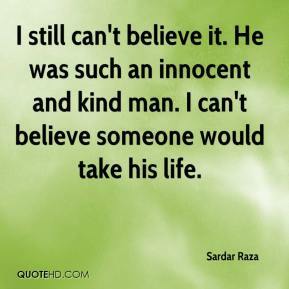 He was such an innocent and kind man. I can't believe someone would take his life. I don't think you can look at this as just a man-woman thing. 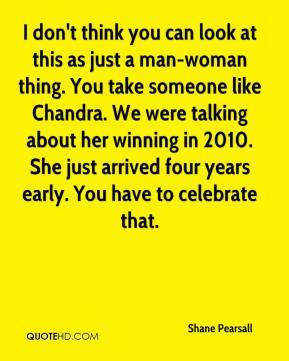 You take someone like Chandra. We were talking about her winning in 2010. She just arrived four years early. You have to celebrate that. I'd love it and I'd love to have someone around to help develop my technical skills. That disgusts me that someone would say that. 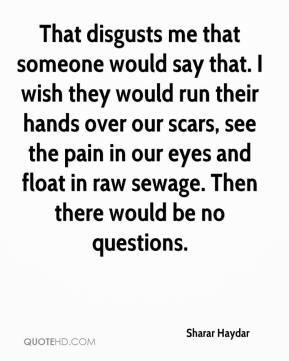 I wish they would run their hands over our scars, see the pain in our eyes and float in raw sewage. 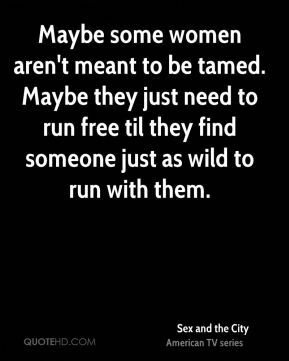 Then there would be no questions. 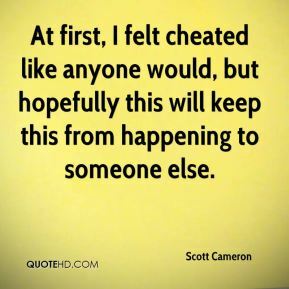 At first, I felt cheated like anyone would, but hopefully this will keep this from happening to someone else. When you have a kid with someone you've already made that decision. You're married. 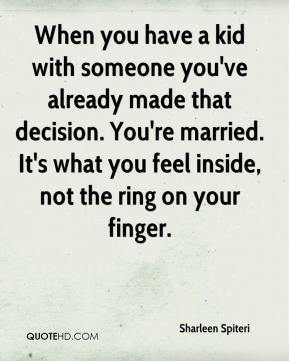 It's what you feel inside, not the ring on your finger. 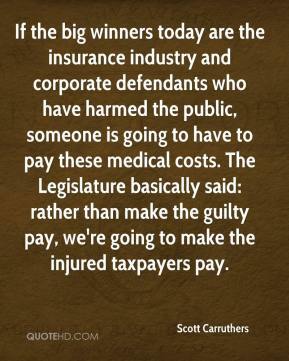 If the big winners today are the insurance industry and corporate defendants who have harmed the public, someone is going to have to pay these medical costs. The Legislature basically said: rather than make the guilty pay, we're going to make the injured taxpayers pay. 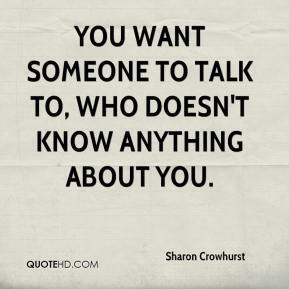 You want someone to talk to, who doesn't know anything about you. 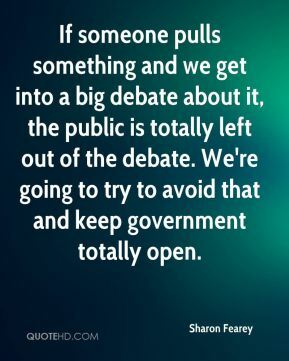 If someone pulls something and we get into a big debate about it, the public is totally left out of the debate. We're going to try to avoid that and keep government totally open. 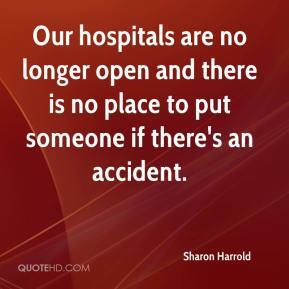 Our hospitals are no longer open and there is no place to put someone if there's an accident. 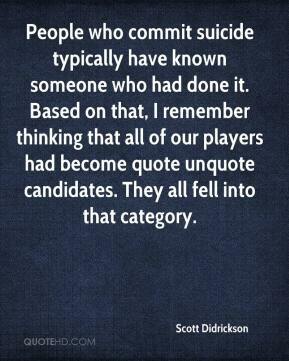 People who commit suicide typically have known someone who had done it. 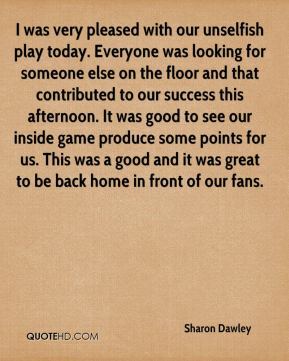 Based on that, I remember thinking that all of our players had become quote unquote candidates. 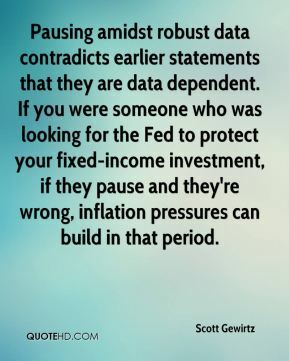 They all fell into that category. 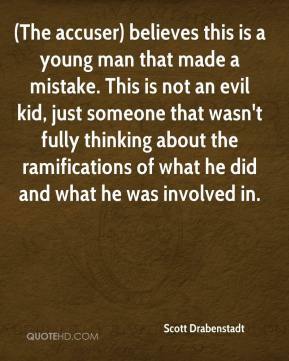 (The accuser) believes this is a young man that made a mistake. This is not an evil kid, just someone that wasn't fully thinking about the ramifications of what he did and what he was involved in. 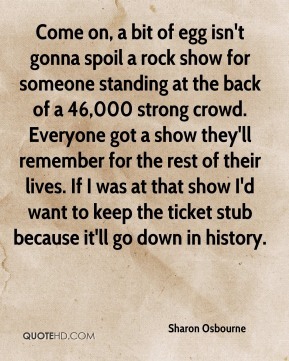 Come on, a bit of egg isn't gonna spoil a rock show for someone standing at the back of a 46,000 strong crowd. Everyone got a show they'll remember for the rest of their lives. If I was at that show I'd want to keep the ticket stub because it'll go down in history. 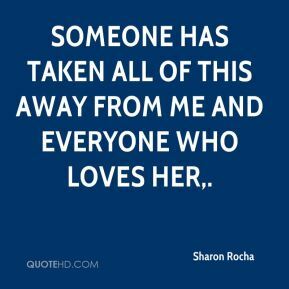 Someone has taken all of this away from me and everyone who loves her. 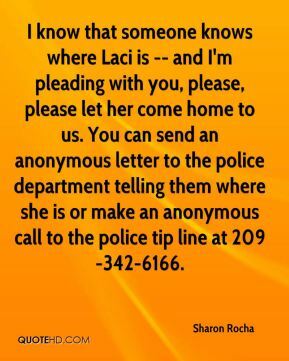 I know that someone knows where Laci is -- and I'm pleading with you, please, please let her come home to us. You can send an anonymous letter to the police department telling them where she is or make an anonymous call to the police tip line at 209-342-6166.